Dr. D.C. Coston served as eleventh president of Dickinson State University. His presidency began in August 2011 and concluded upon his retirement in August 2015. Coston’s academic credentials include a Ph.D. and master’s degree in horticulture from Michigan State University, and a bachelor’s degree from North Carolina State University. Immediately prior to joining Dickinson State, Coston served as Vice President for Agriculture and University Extension at North Dakota State University (NDSU), a position he held for six years. 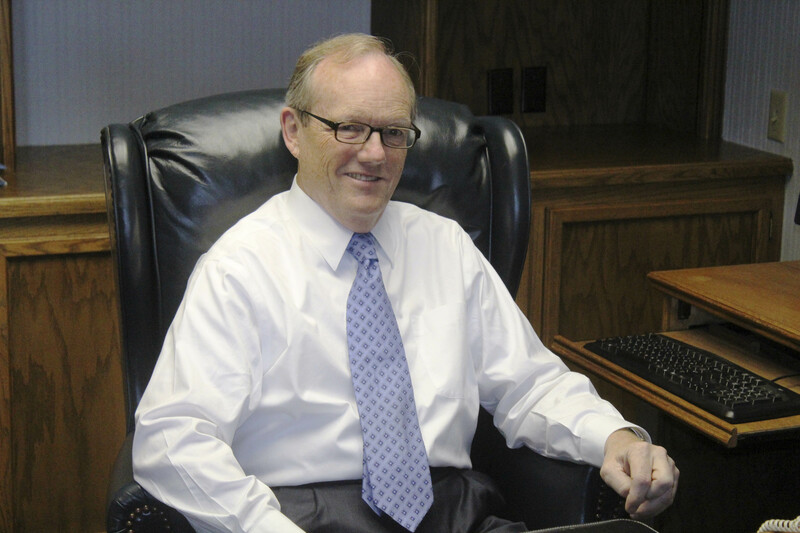 Before joining the NDSU, Coston was associate director and chief operating officer of Oklahoma State University’s Agricultural Experiment Station, Stillwater, and was the interim associate director of the Oklahoma Cooperative Extension Service. Coston previously worked at Clemson University, where he was associate dean and associate director of the South Carolina Agriculture Experiment Station. He also was a faculty member and extension specialist at Virginia Tech, Blacksburg. Coston maintains a strong commitment to civic activity, finding opportunities to give back and support education to build strong communities. He is a lifelong supporter of the Boy Scouts of America. “Dr. D. C. Coston ,” Dickinson State University Archive, accessed April 23, 2019, http://dsuarchive.com/items/show/302.